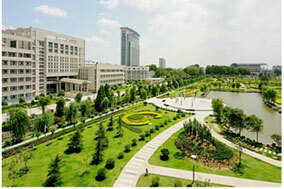 Jiangsu university (ju) is ranked among the top 100 out of over 2,000 higher educational institutions in china. 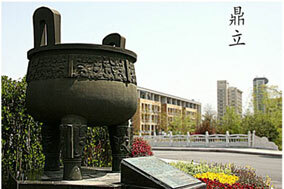 Ju is one of the oldest institutions in china,and its origin can be traced back to 1902 when it was first established as sanjiang normal america.html. Ju was then founded out of the initial america.html by combining the former jiangsu university of science and technology (a national key university), zhenjiang medical america.html and zhenjiang teachers’ america.html with approval from the ministry of education, china in august, 2001. Currently, ju is a teaching, research and community oriented comprehensive institution with emphasis on engineering disciplines. It is one of the first groups of universities that offered doctoral programs for students. At the moment, ju has 26 schools offering bachelor, master and phd degree programs in 9 academic fields namely: engineering, science, medicine, literature, economics, law, management, education and history.in addition, the university has 3 national key academic disciplines. 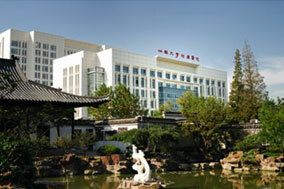 It also has 4 jiangsu provincial key primary disciplines and 13 jiangsu provincial key disciplines. Ju has been entrusted by the united nations to train many high ranking management personnel and experts in agricultural machinery.since 2005, ju started to enroll a complete batch of degree learners. Presently, nearly 500 international students from more than 60 countries are studying in ju. Since 2010, ju has been focusing on promoting internationalization through extensive learning and research work. The number of international students has also been estimated to reach about 1 200 by the year 2015. Regulations of the chinese government and the university. （3）good english or chinese language proficiency. （4）certificate from highest education attained. H. 2 recommendation letters (for master and phd). Confirm your admission and pay the application fee (400 yuan) and seat fee (2,000 yuan, which is not refundable and will be treated as part of tuition when you register). Original documents, like admission notice and visa application form (jw202 or jw201) will be sent to you by posting (ems or dhl). Apply for visa and send us your arrival information. Note: you can also choose to deposit the money to our account directly if on-line payment system fails. Don’t forget to write your name or passport no. On the remittance receipt which should be scanned and sent to our e-mail address (application@ujs.edu.cn). All students are expected to pay off fees on arrival, or will be unable to obtain resident permit. Application fee(400 yuan) and seat fee (2,000 yuan, which will be treated as part of tuition when you register) are not refundable. Fees can be reviewed by ju according to the actual world economic situation every year. Refunded if publicappliances are not damaged).